In love with Formula 1: Austrian GP: Valtteri Bottas from pole to victory! Austrian GP: Valtteri Bottas from pole to victory! Luckily Kimi managed to get past Grosjean quite quickly so the Iceman gained one position back. Meanwhile Hamilton was making his way through the field. He made an overtaking move on Perez and jumped sixth. Some laps later the Briton attacked Grosjean and was already in P5. Teammate Bottas was in a class of his own in the lead. Sebastian seemed unable to match the Finn´s pace. Kimi was struggling with the performance of his car, as there was an issue with a sensor. The team gave instructions on the team radio, what Kimi should do to fix the problem. However, the issue turned out to be a difficult one to fix. By lap 19 Hamilton had decreased the gap to Kimi and the Briton was already within DRS distance from the Iceman. Tyre degradation seemed quite high -even for Hamilton, who had started to the race on the super soft Pirellis. Valtteri in the lead was banging fastest lap times one after another, although also he reported on the team radio, that his tyres were blistered. Hamilton was the first top driver to pit on lap 32, which was a bit surprising in terms of his tyre choice. Naturally the Mercedes ace opted for a fresh set of ultra soft tyres. Red Bull´s Ricciardo pitted two and Sebastian three laps later -both for a fresh set of super soft tyres. For a moment the Finns had a double lead in the race, as Valtteri was leading with Kimi second. Valtteri drove an amazing 42-lap stint on his blistered ultra soft tyres, until he pitted for the first and only time. Kimi pitted not until a couple of laps later -for red-marked super soft tyres as well. The battle for podium places was tightened towards the end of the race. Sebastian had closed the gap to Valtteri lap by lap and he was right at the Finn´s tail when starting the final lap. Valtteri´s rear-left tyre was badly blistered, which affected the Finn´s pace on the closing laps. The other fighting couple was Ricciardo and Hamilton. Hamilton had gotten within DRS distance from the Australian and did everything he could to make it on the podium. The battle between Valtteri and Sebastian brought me a flashback of Sochi; and like in Russia, Valtteri managed to take victory. However, it was fantastic to see such a strong performance from Sebastian! It was a great battle for the victory. Ricciardo was also utterly happy about his fifth consecutive podium finish. Hamilton had to settle for P4 and Kimi for P5. To be honest, I had hoped a little more from Kimi, as he had started to the race from P3. Behind the top drivers Grosjean in his Haas made an excellent job by finishing 6th. Once again the pink team scored important points, as Perez finished 7th and Ocon 8th. In spite of the catastrophic qualifying both Williams drivers made it in the points (Massa 9th and Stroll 10th). Sebastian is now 20 points ahead of Hamilton in the drivers´ championship standings. It is worth noting, that after today´s victory Valtteri is only 15 points down on his teammate. This means Valtteri will be a serious contender in the fight for the championship! Hamilton should definitely be aware of this super fast Finn´s performance and talent! 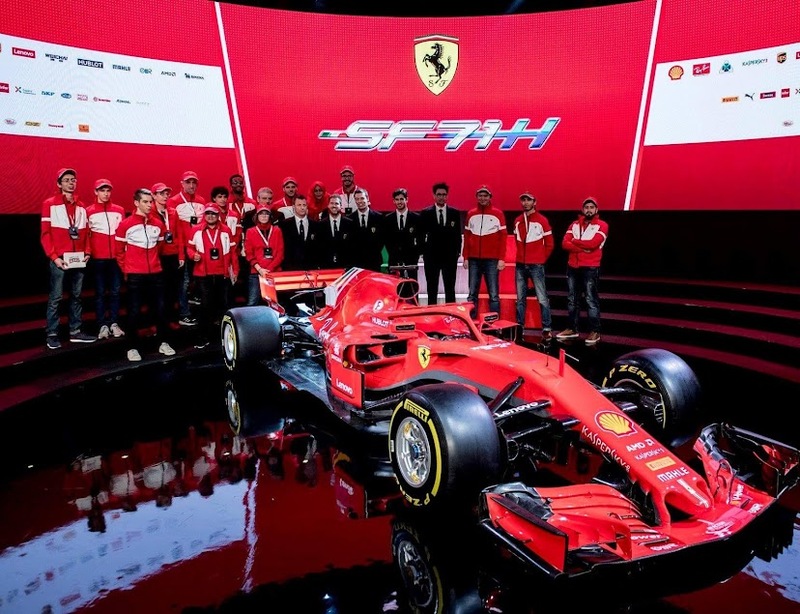 Now it seems, that once again Mercedes has the upper hand on the red team in terms of pace and performance; Mercedes has 287 points to Ferrari´s 254 in the constructors´ standings.